Our ancestors had a working idea of how to use furniture since the Neolithic era, relying as they did on stone beds and benches. But it was only after the discovery of farming technologies and the permanent settlement of nomadic communities that people began populating their homes with fixtures to sit, lie down, and rest on. Wood is one furniture material that has endured for a very long time, and based on our consumption habits, the clamour for wood won’t die down anytime soon. In recent years, however, a significant trend has marked a difference in the way we source, produce, and consume wood: the demand for sustainable timber and more environmentally-friendly practices in wood manufacturing. “Sustainable timber” earns its certification from being sourced in sustainably managed forests. That makes the procurement model much different from the decidedly unsustainable methods used in conventional logging—i.e., in which loggers harvest timber without replenishing the trees they’ve cut down. Making eco-friendly furniture out of sustainable timber yields several benefits: responsible management of our natural resources, the best usage of wood’s natural properties, and the fulfilment of the customer’s need for good-quality furniture. That said, no wood is created equal. Though wood as a whole is easy for craftsmen to work with, is extremely pliable, and easy to move around, some wood types perform better than others for furniture—and, in addition, are less costly and less demanding to harvest. If you’re interested in buying eco-friendly chairs, tables, benches, or cabinets, find the info to identify the best wood types for timber furniture. To get you started on that task, here’s a short list of the wood types currently used in the manufacturing of eco-friendly furniture, what unique properties they possess, and why they’re ideal for more mindful wood consumption. Oak, which is a hardwood, is arguably one of the most popular varieties used in everyday furnishing. The wood is known for its durability and resilience, which means that any high-quality oak furniture you own will not need to be replaced for some time. Oak wood also sports distinctive ring and open-grain patterns, and these are often on display in wooden floorings. When buying oak products, seek out forest certification from the manufacturer, as some oak timber sourced outside of Australia is harvested from illegal logging. Pine wood is usually associated with Christmas trees, but it also makes for elegant and tasteful furniture all year round. Pine is a softwood variety that is notably fast-growing, which means that replacing pine trees is not so difficult on the forest’s management. The wood also has a closed-grain appearance, making it ideal for those who seek an “unfinished” or “natural wood” aesthetic on their furniture. Beech. Like oak, beech is a hardwood that is collected from a broad-leafed tree, and there is ample forest infrastructure that preserves the species. Beech is often incorporated into boutique furniture, as it requires a high level of craftsmanship to work with. Signature furnishings that are made out of creamy-white beech wood are straight-grain cabinets and chairs built around a natural curve. Blackwood—in particular, the Tasmanian Blackwood variety—is not necessarily all black in colour, as it also possesses traces of golden-brown or reddish grain. It is one of Australia’s most sustainable wood sources for furniture, as well as for products like guitars. This wood is also a joy for local craftsmen to work with, as it is easily manipulated with both hand tools and electric tools. You’re likely to find the beautiful grain profile and colour of blackwood in wooden flooring, coffee tables, and beds. If you want to patronise sustainable timber from Australia’s neighbours in Asia-Pacific, you might want to explore the hardy, yet lightweight bamboo. This softwood grows incredibly fast and is extremely versatile in its applications; you are as likely to find well-crafted bamboo chairs, benches, and scaffolds as you are to find bamboo chopsticks, bowls, and even spectacles. Be sure to verify the sustainability of your bamboo wood products on platforms such as the International Network for Bamboo and Rattan. There is so much to discover in the wide and wonderful world of wood. But let’s not forget that we only have one planet from which to grow it, and that our discovery should instigate more responsible action on our part. That said, you likely won’t regret buying eco-friendly furniture for your home or your workplace—and combining an eye for style and comfort with a mind for the environment. When you hear the term “curb appeal,” you might think about the various attractive features of your home’s exterior that help it to stand out in the neighborhood as a place of beauty. This term is especially important when selling a home — properties with well-kept landscaping and attractive paint will attract more buyers than homes with cracked gutters and rusty tricycles on the lawn. As it turns out, the concept of curb appeal can also be applied to burglars. Basically, different aspects of a home’s exterior might either invite or hinder burglars. 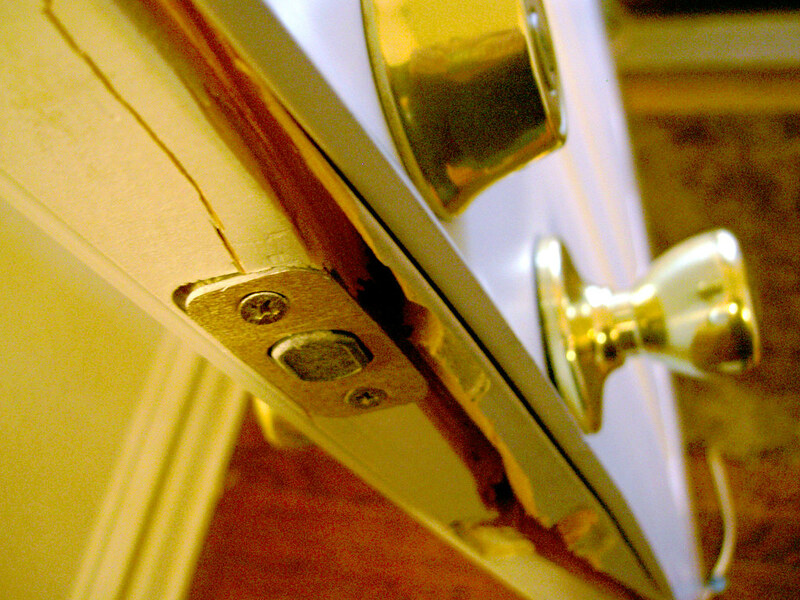 With this in mind, let’s look at some of the ways your home may be enticing thieves and how to remedy this situation. As WXYZ Detroit notes, burglars are attracted to homes that have big bushes and trees next to the house. They can hide behind the large landscaping features, wait until there are no cars going by and then try to jimmy the window. If you have beautiful shade trees and lovely flowering bushes on your property, especially up near your home, you don’t have to have them removed. Simply keep them smaller and well trimmed so that they will not work as a hiding space. In addition, if you have a shade tree by a window, make sure that the bottom of the tree is trimmed up high enough so that bad buys cannot hide under it. And, if you are in the market for some new landscaping, consider a tree or bush with thorns — anything to help deter nogoodniks from choosing your home. Pretend for a moment that you are a bad guy wanting to break into a home. One has visible security camera systems around the doors and windows, along with signs and stickers alerting you that they have a home security system, and the house next door is camera free. Which home would you choose to burglarize? Probably the one where you will not be recorded trying to open the doors and windows. Fortunately, there are a number of affordable and user-friendly home security systems from which to choose — and some include some really amazing features like night vision technology. As Bob Vila notes, many burglars like to work in a cloak of darkness. While trying to save energy and keep your electrical bills lower by leaving outside lights off is an admirable decision, it may also entice bad guys and gals to choose your home over a more well-lit property. Leave on porch lights to discourage criminals from coming near doors, and if you are going to be away for the evening, put some interior lights on timers so it looks like there is always someone at home. It is encouraging to know that you can still have an attractive home with many of the features you love, including beautiful landscaping, and still discourage burglars from choosing your property. Install a security camera, keep those trees and bushes trimmed and leave lights on at night, and you will go a long way in reducing your home’s curb appeal to crooks. It’s a great idea to get a value before you even start doing anything to your home. First of all, you want to know where you stand, and what kind of starting point you are at. You will also want to know how much you have actually added, which you can only do by getting it valued first of all before you do anything. What’s more, if you hire professionals like William Pitt to come and value your home, you might find that you also get to hear some pieces of advice as to how you might be able to add as much value as possible to your home. In short, they are likely to know what they are talking about, and as such you will find it gives you a great incentive to carry on as well as a good means of planning out what you are going to do. You can also expect things to be considerably easier if you do as much of it yourself as you possibly can. Any amount of money you can save on the labour is likely to help, so you will want to do things this way as best as you can if you are trying to go for the cheapest means possible. That will also mean you are getting more financially, of course, as you will be spending less but adding more to your property’s value. Do whatever work you can yourself, and it will really help. When renovating home, you should consider both design and functionality. You might be focused on your amenities, but your level of comfort at home depends on its appearance too. So, if you want to renovate your household practically then you should think about the way it looks, in other words. You shouldn’t pick a chic leather couch if it’s uncomfortable to sit on, for example. That might sound obvious, but it’s hard to nail the balance. Let’s discuss some practical and aesthetic renovation ideas for your home. It might help you to reinvent your humble abode. This is a practical piece of advice to bear in mind on a continuous basis, but it’s particularly important at this time of year. During winter, pipes can freeze, water damage to your property’s exterior can be severe. When water freezes, it expands; fences and patio decking, for instance, could be damaged. You should do household maintenance throughout the year, but if there was ever a time to put it at the top of your priority list then it’s probably winter. Don your DIY hat and tend to those household chores you’ve been neglecting. With YouTube at your disposal, you have access to tutorials for all manner of home renovation projects; you could retile your bathroom, fix creaky floorboards, and even sort out that leaky faucet in the kitchen sink. Anyone can become a DIY expert with the internet. Focus on small statement pieces. A practical yet beautiful household should avoid a cluttered design. Yet, you don’t want your home to look boring. You want to make sure each room is vibrant and exciting in a visual sense. So, how do you achieve this? In some modern or simply smaller homes, a chandelier might look a little out of place or garish. But a focal point doesn’t need to be grand and overwhelming. It can be something small and captivating. You could place an exotic tropical plant in the corner of your lounge to add some color and natural design to your room. Or maybe you could check out Montgomery’s for some stylish blinds. Those would be practical and more aesthetically-pleasing than old-fashioned curtains. Realize the potential of your garden. Last but certainly not least, you should realize the full potential of your garden. So few homeowners truly utilize their outdoor space, but that’s a real shame because your property’s exterior is just as important as its interior. Maybe you mow the lawn and water the plants regularly, but your backyard could be destined for so much more. We’re not just talking about keeping it neat and tidy on a practical level; we’re talking about giving it a vibrant and cozy aesthetic. You could create a patio area with an awning to keep you sheltered. You could have a dining table, relaxing loungers for sunny days, and even a fire pit for BBQs. Solar lights might help to light up this beautiful space and make it feel more homely at night too. When it comes to creating that perfect family space, it’s safe to say that a lot of people struggle. The issue is that furniture is an important aspect of any household design, as it has a huge impact on the look and feel of the space. However, knowing how to select the right pieces of furniture is not always something that is as simple and easy to do as you might think. The good news is that when it comes to choosing pieces of furniture for your family home, there are some simple steps that you can take note of and implement in the process of choosing pieces of furniture for your home. Wondering what these steps are? Read on for all of the essential advice you could possibly need for choosing new furniture for your home. First things first, take a moment to consider the design style of your home in general and the room that the furniture will be going in. It’s all well and good seeing a beautiful table that you love the look of, but if it won’t fit with the interior design of your home or the room in general, it won’t fit in properly and may impact the look and feel of the space. That’s why it is so vital that you carefully consider the design style of any area of your home before you select a piece of furniture to go in that space. When it comes to choosing a piece of furniture, it’s essential that you consider who the designer is and whether they are a reputable designer. After all, when it comes to furniture design it’s about quality, which is why it’s essential that you take the time to carefully determine where the best places to buy from are. Say, for instance, you are thinking about buying from Wayfairer, before you buy make sure to Google Wayfair furniture reviews and see what comes up. It’s essential that you are mindful of sourcing quality products when it comes to your home’s furnishings, and taking the time to read reviews will help you to do that. Furniture needs to be suited to yours’ and your family’s specific needs if it is going to stand the test of time. So it’s important to think carefully about functionality and practicality when choosing pieces of furniture to add to your home. Consider your family’s needs, such as if there are young children in your family who are likely to make a mess, for instance, then you want to choose furniture that is a perfect fit for this specific needs, such as wipeable furniture that you can easily clean if your kids make a mess on it. There you have it, a guide to how to choose the right furniture for your family home. Have a read of the above tips and ideas and you can ensure that the furniture you have in place is a perfect fit for your family’s needs. Buying real estate has many hidden costs and most are incurred at the point of buying. We look at where buyers spend the bulk of their money and offer tips on countering with an opportunity to save cash. Solicitor fees: Solicitors help transfer the property into your name and pay out your bank funds at settlement to the seller. You can save money on their service by hiring a convincer rather than a solicitor, they offer a similar service for a lot less. Normally they charge around $950 to $1000 where a solicitor can charge upward of $2000 per transaction. Paying too much for property. Real estate agents can drive up the price of a property by tens of thousands of dollars adding years to your mortgage repayments. You can beat a real estate agent at their own game by hiring the service of a buyers agent. Even though it costs to hire one, a good buyers agent can save you tens of thousands of dollars hence cutting years off your mortgage. Setting up your home loan: When setting up your home loan, all the fees are worked into monthly and annual charges over a 30-year period. For those who take the time to compare, the difference in price from one lender to another can add up to thousands. What is the best way to pick the cheapest mortgage? Use a mortgage broker rather than dealing direct with a bank. The bank pays commission to a broker once the loan is approved so you don’t pay a fee for hiring them. They have access to a range of banks and can offer you 100’s of different packages, which can save you big bucks in the long run. Reducing your stamp duty bill: Stamp duty tax is the second biggest expense when buying a house. To save money, consider buying a property off the plan or a block of land. Stamp duty is charged at the value of the property at the time of purchase. Hence, if there’s only a land value to consider, you could save anywhere from $10,000 to $20,000 purchasing an off the plan property. Sell your back yard: Some houses have the potential to be subdivided and sold. What this means is keep the property you live in and sell your back yard to a developer or a builder. This could cut your mortgage in half! Only buy what you need: Many new car buyers have the intention of buying the basic model when walking into a car dealership. In most cases, buyers walk out spending a lot more money than expected with a top-of-the-range model. Homebuyers tend to do the same thing when buying property. The more you spend, the longer it takes to pay off and the higher your stamp duty bill becomes. Consider smaller property or a small land allotment or purchase a little further from the city. Mark Ribarsky is the founder of Wise Real Estate Advice and Property Managers Melb. He is a fully qualified real estate agent, Bachelor of Business, residential property developer and commercial buyers agent. Winters can cause a lot of damage to your property over time, which is why regular maintenance is so important. Think of maintaining your home a lot like maintaining a garden. Before winter hits, you will likely go through and snip unwanted branches, cover shrubs, and otherwise prepare your garden so that, come spring, everything can bloom to life like the year before. With your home, however, problems only get worse if you don’t fix them. That is why before this next winter sets in, you should go through these steps to prepare your home. Every bit of damage on your property can become worse during the winter. This is particularly true if you live in an area that experiences freezing temperatures or snowfall. If you have a damaged fence, for example, that damage will only become worse as the winters go by. Water can get between cracks and expand as it freezes, worsening the problem and even turning a fence repair job into a fence replacement job. By monitoring your home and making fixes as needed, you can prolong the overall life of your property with ease. One of the worst situations is that it gets so cold outside that your pipes freeze. It usually occurs in areas that have their pipes above ground, instead of buried. Perhaps currently, your winters are milder, but with changing climates, this could change. Get your pipes properly insulated to ensure running water throughout the winter. Doors and windows release the most heat in your home and therefore should be the first place that you look to improve your home’s efficiency and overall comfort. Replace all single pane windows with either double or triple paned windows. Fix any damages in the frames, or, if those are beyond your budget, use thick curtains to retain heat during the nights. Carpets, curtains, and even tapestries can all help retain heat without touching the overall exterior of your home. If you rent, or cannot afford to have installation put in, this can be a great way to reduce your energy bills and to maximize your overall heating efforts for longer. A good home heating system should be able to turn off and on by itself. It means it should be able to turn off when your home has reached the desired temperature, and it should turn off when you aren’t using it, for example, when you are at work, or your children are at school. You can also lower your home’s temperature at night when you are all sleeping by using thick covers and easy tactics like thick curtains to keep bedrooms warm without actively heating them. Using less energy is the most obvious way to reduce your home heating bills, but you never want to do that at risk of your family. Follow this guide to protect your home and keep your family safe and comfortable this, and every winter forward. Are You Advertising Your Home To Thieves? Burglars are very particular as to which properties they choose to break into. Most burglars want an easy target and they will scan a property for obvious security flaws whilst looking for tell-tale signs that no-one is home. Here are just a few ways in which you could be advertising your home to burglars without knowing and what you can do to fix this. The most obvious way in which you’ll attract burglars is by flaunting your valuables. Make sure that passers-by can’t see your TV or computer through your window. Avoid putting your TV in front of your window and try distorting the view into your windows. You could do this through frosted glass or by simply hanging up net curtains – both options allow privacy, whilst still letting the sunlight in. If you’ve just got a new TV, you may even want to be careful of where you put the cardboard box – leaving it outside your home will tell burglars that you’ve just bought a new TV. It’s worth also considering you garden valuables. Lawnmowers, barbecues and bikes are some of the most popular items to get burgled – make sure that these are locked away in a shed when not is use and not left out in plain sight. A broken window or a flimsy door frame will stand out as an easy point of entry. Make sure that any damage to windows and doors is repaired. It could even be worth investing in some replacement windows made out of a sturdier material. You could try opting for uPVC frames with locks and reinforced glass. Multiple small panes can also be harder to break into than one large pane. As for doors, consider replacing any old doors with new reinforced doors. Make sure that the frames are also sturdy – there’s not point investing in a secure door if the flame is flimsy. 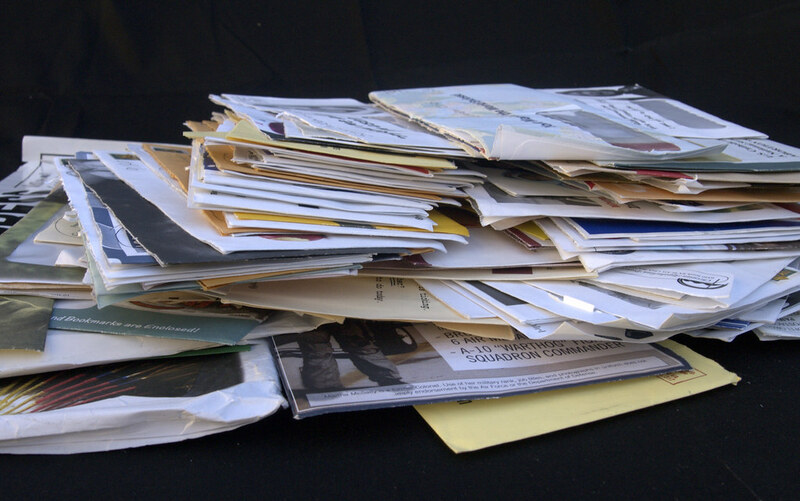 Visible piled up mail will tell burglars that no-one has been at the property for a while. Glass doors are a big giveaway, so consider going for something opaque. If you like having a glass front door to let the light in, consider getting someone you trust to go around your home every so often and collect up the mail so that it’s not piling up on the doormat whilst you’re away. The same applies to overstuffed mailboxes. Think twice before sharing those vacation snaps. Burglars are now starting to use social media to pick their targets, finding people that are on holiday so that they can target their home safe in the knowledge that they won’t be there. Unless you’ve got someone to house-sit your home, avoid sharing vacation photos until you get back. You certainly don’t want to be broadcasting the dates that you’re away. Also, be careful of uploading lots of pictures of your home’s interior – the odd photo won’t do any harm, but photos of every room as you’ve just moved in could give burglars ideas. The majority of burglaries like to operate in the dark – this gives them less chance of being seen by someone. Installing exterior lighting could help to keep your home illuminated at night and make it harder to break in unseen. Motion sensing exterior lighting is the most popular – it will save you power compared to permanent lighting. Place lighting in key locations where burglars are most likely to try and enter such as your back door or the fence near the end of your garden. High hedges may stop passers-by peering in, but they can also make it easy for a burglar to break into your home undetected by offering a barrier to hide behind. If you’ve got a high hedge or a high wall outside your home, consider getting lowered or removed entirely so that the front of your home can still be seen. Passers-by should be able to see your doors and windows, just not inside them. So you’ve just become a new homeowner. What an amazing time for you and your family! Now you can begin the life of settling down and becoming your best self, the self you were searching for all throughout your younger and formative years. This is an exciting time, because it somewhat takes off the pressure of everyday life. No longer do you have to deal with rental contracts, loud apartment neighbors, maintenance workmen entering your property without the proper warning, landlord disputes, odd maintenance working timeframes, and getting an elevator to the apartment each day. No longer do you have to deal with insufficient parking space, paper thin walls, and the feeling that you’re simply a traveller in the property market, not a fixed entity. Well, now you’ve become a homeowner, there are so many things you can do. This guide is here to celebrate your new life circumstance, and remind you of all the wonderful and exciting things you can do to enjoy this period, and outfit your home appropriately. It’s good to get excited from time to time, and we wish to help you do that. No more parking on the street and feeling annoyed that you have to battle for space. Now, a wonderful garage space, panel doors and garage door remotes are yours to make use of. Ensure you make the most of this by organizing the space from the beginning, installing shelving units and storage drawers in order to keep all of your belongings, ensuring your car always takes precedence over filling the space with storage items only. You may decide to implement a desk you can perform basic DIY at here, and once and for all begin building your toolbox to best cater to your overall needs. This can be an exciting time for you, because in apartments and rented flats, that sense of personal maintenance and workmanship is often vacant. Kids bedrooms can now be decorated with real fun. Painting the walls top to bottom with fantasy motifs can now be possible, as well as outfitting the room with many silly and fun items. Wish to craft a fairytale princess bunk bed for your two young daughters? Now you can, and you’re not limited by the already furnished nature of a rented abode. You can also install worthwhile security features in the home that you may have been missing, such as window latches that protect excitable children from exploring dangerously. When you can implement creativity in your children’s bedroom, you gift them a sense of space and wonder they may have been missing all this time, and as a parent that can be essentially exciting to consider. No matter what room you make use of it in, you can now exercise autonomy over your space. Knocking through walls, applying completely new motifs, ripping up the flooring, completely reorienting the plumbing network, all this can be achieved so long as you keep the property functional and able, and that might be something you have yet to experience. Some rented homes won’t even let you hang a picture up if it requires a nail, and so enjoying so much potential utility can feel overwhelmingly awesome at first. Why not make the most of this by getting a little weird with it? You might decide that your basement should be decorated exactly like the Red Room from Twin Peaks, or perhaps you simply wish for a personal Netflix and Gaming den in the basement – no boys, or girls allowed! Indulging in your own space is only limited by your budget and creativity. Sure, apartment buildings are often quite well guarded. There are usually a network of security cameras and maybe even a security guard to keep you safe. However, now you can stay safe on your own watch. You can implement floodlighting for the hidden exteriors of your property, implement security camera systems as well as install a personal alarm. Being part of a community can also help you enrol into a neighborhood watch scheme, giving you that sense of mutual protection that helps a community feel safe and catered for. Zany hobbies can now be indulged in! Dedicating an entire room to relaxed meditation practice could be a wonderful thing to do, or perhaps opening up the garage to your artistic endeavors, filled with canvasses and beautiful paintings can all truly mean something in the scope of your creative vision. Sometimes, you just need the space to conduct your best work, and with this new possibility you’ll have no excuse to follow down that path. Of course, now is the time where you can pick up items from abroad, items that means something to you in your personal life, and accept gifts from friends and family without having to worry about where you’re going to place the item. Long-term items can be stored in your new attic, giving you a real sense of personal history, of establishing your family in an environment, and generally helping your family live as its best self. Now is the time to make full use of your garden. Just imagine the fun you can have outside, building and crafting the perfect treehouse or climbing frame for your children. Of course, only those with experience in woodworking and crafting should do this, if that’s not a possibility then purchasing pre-crafted ones are a must. Having outdoor fun in terms of summer campouts, sporting practices, trampolining and other silliness can be a wonderful thing to do all summer, and help you bond with your children. It can also connect them to nature, no matter how small and how humble your garden is. Care for your garden the moment you move in. It can treat you and your family very well if you make the most of it. With these excited possibilities, you will no doubt realize that a home is what you make of it, thus you’re sure to make the rest of your family life the best of your family life. Moving? How to Pack for a Move Like a Pro! Packing for a move can feel like a daunting task. But it doesn’t have to be. You can hire a mover such as Bekins Moving Solutions local movers to help you out. There are also things you can do yourself to make the process easier. There are so many different things to consider when planning to pack up your home to move to a new house, from inventorying the items you’ll take to planning out the logistics of the move itself. Luckily there are a few simple steps you can take to make packing a little less painful. Consider these tips to pack for a move like a pro. The key to staying sane while packing for a move is organization. Start by creating a labeling system to help you keep your boxes organized throughout the moving process. Not only will this help make packing a little easier (because you’ll know what goes in which box), but it will also make unpacking simpler too. Be sure to use specific labels on each box so you’ll know exactly what’s inside when you get to your new home. In addition to including the room where to box belongs, also add details about what’s inside so you won’t have to search through each box to find what you’re looking for when you arrive. One of the most important aspects of packing you need to consider is how you will ensure your fragile items make it safely to your new home. Be sure to use high quality packing products, including thick, sturdy boxes, bubble wrap and packing paper, and strong packing tape. You should also be sure to reinforce your boxes with two strips of tape on each seam and create a cushion for fragile items by lining your boxes with bubble wrap or packing paper. Finally, label each box with fragile items to make sure you handle those boxes with care while moving. To keep from getting overwhelmed and stay organized, pack your house room by room. Start by packing up rooms of your home that aren’t used often, like your dining room or office, and end with more trafficked areas, like the kitchen and bedrooms. As you pack, remember to pack similar items together in the same box and evenly space out heavier items to keep the loads manageable. Often times we get busy with things and we don’t take proper care of ourselves. If you are planning on doing a move yourself, make sure to stay hydrated and take care of your body. I know when I do a lot of physical activity and walking like with a big move, my feet are usually so sore and achy by the end of the day. Biopods shoe inserts provide gentle upward pressure centered in the arch area of your foot for optimum comfort every day. This would be especially comforting while on your feet all day for the big move. Keep important items in a place separate from your moving boxes to ensure they stay safe. In addition to packing an overnight bag with some clothing and toiletries, also consider packing a bag with important documents, expensive jewelry, important family photos, and important work-related items. That way, you’ll know these precious items are safe with you, and you don’t have to worry about them getting lost in the shuffle of moving. After you’ve moved and are settled in you might want to take a vacation to relax from the stress of moving. Where have you always dreamed about traveling to? If you look here you just might find your next restful vacation or dream adventure.